This section outlines options a debtor may use to resolve debt problems, from budgeting out of debt to consolidating their debts to declaring bankruptcy. Client wants to know how to resolve problems with one or more creditors. Most debt problems are primarily financial problems, not legal problems. Accordingly, a debtor can take several steps that do not involve the legal process. In many instances, a debtor can resolve a problem directly with the creditor, possibly with the assistance of an advocate. The following solutions apply to debtors who accept liability (responsibility) for a claim by a creditor. If you believe there is a defence that makes the client not legally liable for the claim, see the sections on Contract Defences, Court Process in Consumer and Debt Matters, and Examination of Debtors for ways to resolve the problem. Many debt problems can be resolved by direct, early communication with creditors. Many debtors make matters difficult by ignoring their problems. Carefully note the history of communication (or lack of communication) between the client and creditor as part of the initial fact gathering. It is important that resolutions be realistic and that the client be committed to them. For example, a financial solution often involves the client having to cut back on spending. You should review the client’s budget arrangements to ensure that a solution is feasible and that the client is likely to follow it. Most financial solutions involve carefully reviewing a client’s household budget and, in some instances, educating them as well as acting as a legal advocate. 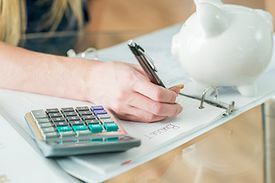 You should be aware of basic budgeting techniques so that you can give clients basic budgeting advice, and supplement this with budgeting materials. Client carefully monitors their expenses. Client cuts back on current expenses. Creditors cooperate (they may be asked to accept a little less each month, for example). If a debtor is temporarily unable to make full payments on a debt obligation because of unemployment, illness or other cause, the creditor may be willing to allow a few payments to be made up later. Or, the creditor may be willing to suspend (or lower) interest charges for a short period of time. If a client has several creditors and a limited amount to pay toward debts each month, debt pooling may be appropriate. Essentially, the client works out how much can go to debts each month after accounting for current living expenses. Each creditor is asked to accept a share from this amount (the pool) in proportion to the amount that is owed. Usually, creditors are asked to accept less per month than they are entitled to receive and to be paid off over a longer period. Debt pools can be a considerable amount of work to set up and maintain, and they require the cooperation of the client’s major creditors. The advantage of pooling is that it allows some flexibility from month to month: if a client has been consistent in their payments (or paid more some months), then creditors may be agreeable to taking less for a month or two when the need arises. Debt pools can be run by the client alone or by the client with the assistance of an advocate (or other credit advisor). The Credit Counselling Society of BC is a reputable, non-profit agency that offers debt pooling and credit counselling services. Be wary of commercial pooling services, which charge the debtor for their services. Debt consolidation usually refers to gathering all debts into one payment scheme or with one creditor. For example, a client may be able to get a debt consolidation loan from a credit union to pay off a number of smaller debts. The advantages of such loans are usually that the debtor gets a smaller monthly payment for the one debt, and the interest rate on that loan may be lower than at least some of the smaller credit obligations (for example, department store charge accounts). Debt refinancing means getting another credit contract for an existing debt obligation. Refinancing may be with the same creditor or a different creditor. The advantage that a debtor usually seeks in debt refinancing is a lower monthly payment or lower interest rate, or both. The disadvantage is that it could take the debtor more time to pay off the loan. In some instances, a creditor may be willing to accept less than the full amount owed on a debt and agree to a debt settlement. The debt may have been in arrears for some time, and the creditor may be willing to accept 50% or 75% of the amount owed if the debtor can come up with a lump sum to make the payment. The advantage to the debtor is that they can have the debt discharged for less than is owed. The disadvantage is that it may be difficult to get a source of credit to fund such a settlement. (Debtors may be able to ask relatives.) A debtor may be able to use a combination of settlement and instalment payments. For example, if a debtor owes a creditor $10,000, the creditor may be willing to accept a lump sum payment of, for example, $3,500, and monthly payments of $300 for 12 months (for a total of $7,100). The creditor usually insists that the settlement agreement is only valid if the debtor makes the 12 monthly payments. If the debtor defaults on those payments, the creditor will claim the full balance owed. A proposal is an offer a debtor makes to their creditors to settle their debts. The offer can be to pay them a percentage of what is owed, to extend the time to pay them, or both. If the creditors accept the proposal, the debtor pays them under the terms of the proposal, typically for a period of three to five years. If the debtor meets the conditions in the proposal, they will be legally released from their debts — except for a few types of debt, such as support payments. For more on this option, see the section on Consumer and Ordinary Proposals. Bankruptcy is a legal process where the debtor gives up most of their assets to get rid of their debts. The most common way for a debtor to go bankrupt is to voluntarily declare bankruptcy by making an “assignment in bankruptcy”. Going bankrupt is a long process with serious consequences, so it represents the most drastic option for getting out of debt. For more on this option, see the section on Assignments in Bankruptcy. See also People’s Law School’s pages on getting out of debt, the chapter “Creditors’ Remedies and Debtors’ Assistance” from the manual used by the UBC Law Students’ Legal Advice Program, and the Credit Counselling Society of BC’s pages on options for getting out of debt. This page was last edited on 9 October 2018, at 07:38.